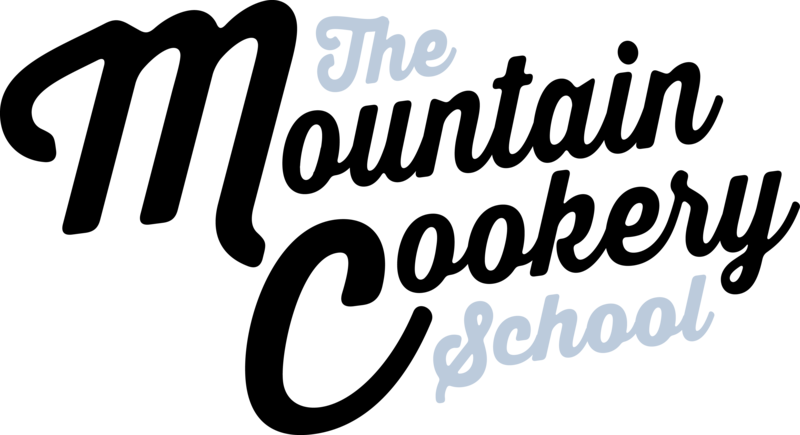 Who are The Mountain Cookery School? Ella comes from a foodie family, born in London but her early childhood was in Hong Kong, where she spent weekends sailing to different islands and experiencing an exciting, vibrant culture. From there the family moved to Belgium, providing many new adventures travelling around Europe and experiencing a whole new variety of food, from steak tartar to crème brûlée and Italian gelato. She then moved to an English performing arts boarding school where she enjoyed hours of dance, singing and drama lessons, giving her a love of live performance. After finishing at boarding school she went to a chalet cookery school and took a winter job with Skiworld. After just one season she fell in love with the mountains and moved through the company from a chalet host in a classic chalet to chalet manger in Courchevel. During the summers away from the mountains she does many different things, including seeing her family in America, enjoying the local beaches and lakes for sailing, fishing and sunbathing. She also works in a catering business in West London where she helps plan and cook meals for weddings and other events, while making daily cakes and fresh food for two delis in London that produce fresh and seasonal food in a family environment. Ella has spent a lot of time cooking for other people and enjoys feeding big groups of people, no one will go hungry when she is around. She and her brother can spend a whole day devising the perfect evening meal for the family and then producing it. Who needs an occasion for good food, any day can be perfect for a feast! Rhys has been cooking for as long as he can remember – according to his Mum, his first foray into food was making his own banana sandwich at age 2! After growing up in Manchester’s leafy suburbs Rhys went on to study philosophy at Durham University. Since leaving university, most of his working life has been spent in accountancy and consultancy, which offered him an amazing opportunity to work all over the world and further expand his culinary knowledge by sampling (amongst many other things!) street snacks in Rome, traditional Korean cuisine and shrimp and grits in Tennessee. This love of food led Rhys to spend a winter hosting a ski chalet, where every morning he’d wake up only half-believing he actually lived somewhere so stunning! Precariously balanced around his day job, Rhys also worked evenings and weekends as a private caterer over the last three years and loves developing and delivering menus for a crowd. 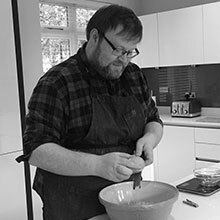 At home, Rhys tries to cook at least two new dishes each week from scratch… as well as honing the recipes for some old ones. In the future, he’d love to work in the kitchen of his own restaurant! Having lived in a variety of “exotic” places from her home in North East England, to the shores of Lake Windermere, and even the tropics of a Malaysian rainforest, it’s no wonder Amanda feels right at home here in the mountains. 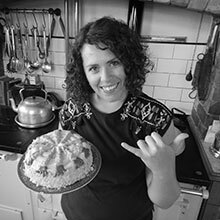 She gained her love of cooking when she was a young girl, baking sweet treats for her family. She later progressed to cooking tasty meals for herself and her friends during university, picking up her love for spicy food and unusual cuisine during a year-long student exchange program in South East Asia. There she tried everything from fried crickets to delicious durian fruit and mangosteens. Amanda loves to try new flavours and engage in different cultures. In her free time she likes to be outdoors, exploring the fells of the Lake District where she experienced her first taste of chef life. She worked alongside a small team in a very busy kitchen which catered for hundreds of hungry holiday makers each day, gaining inspiration and valuable industry knowledge. Leaving those rainy shores behind, Amanda took a Winter chalet hosting job with Skiworld in a quaint French ski resort. 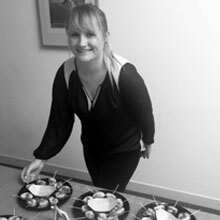 She took to this role like a duck to water, providing exceptional customer service, baking tasty cakes, and developing an insight to what it takes to successfully host an amazing chalet, and is keen to share this information and inspire others. She has recently been offered the role of Resort Manager for this coming winter season and hopes to build on her managerial experience and share her ever developing love for the mountains with her new team and future hosts alike.